This screen saver was introduced in response to requests from users who visited the Jag-lovers Brochure web pages. It uses images taken from the range of brochures shown there. This version runs under 32-bit Windows only and at the moment we do not anticipate a Mac version being available (unless someone wants to volunteer writing a version written round the operational style of this one). The installation supplies you with 20+ default images spread over the Jaguar range. Optionally, you can download additional Zipped archives of between 15 and 30 images for a specific model or theme. You can choose to run these along with all the others you have downloaded, or just run an individual set. And you can 'roll your own' sets from instructions given here. 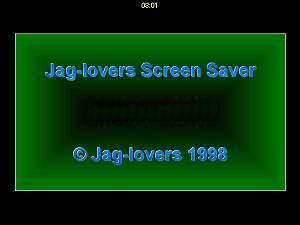 The Screen Saver has its own Jag-lovers Screen Saver homepage where you can always find the latest information.